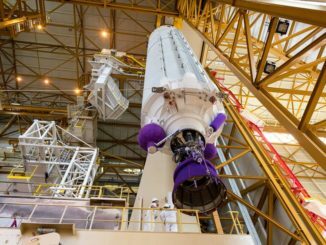 The London-based mobile telecom provider Inmarsat and the Brazilian satellite operator Embratel Star One have selected Arianespace’s Ariane 5 rocket to launch two spacecraft from French Guiana in 2019. 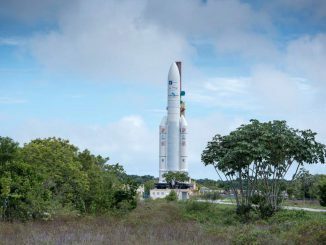 Arianespace officials have approved the rollout and launch of the final Ariane 5 flight of the year, set to blast off Wednesday from French Guiana to haul Brazilian and Japanese communications stations toward their orbital perches more than 22,000 miles above the equator. 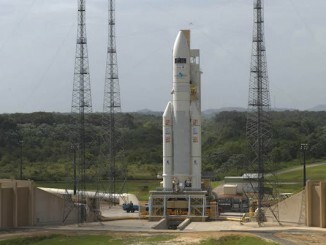 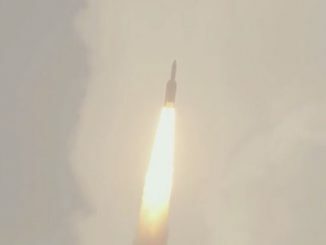 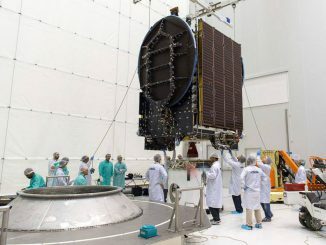 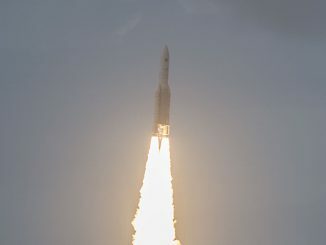 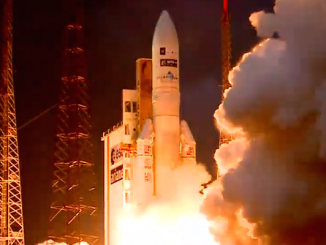 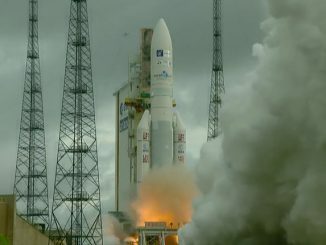 A Brazilian television broadcasting satellite and Europe’s next weather observatory packaged atop an Ariane 5 rocket lifted off at 2142 GMT (5:42 p.m. EDT) Wednesday from Kourou, French Guiana. 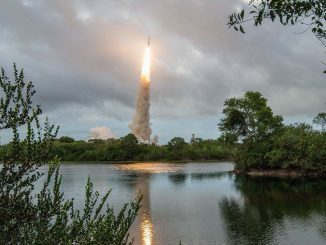 An Ariane 5 rocket launch with a Brazilian television broadcasting satellite and a European weather observatory has been rescheduled for July 15 after technicians double-checked one of the spacecraft for oil contamination.